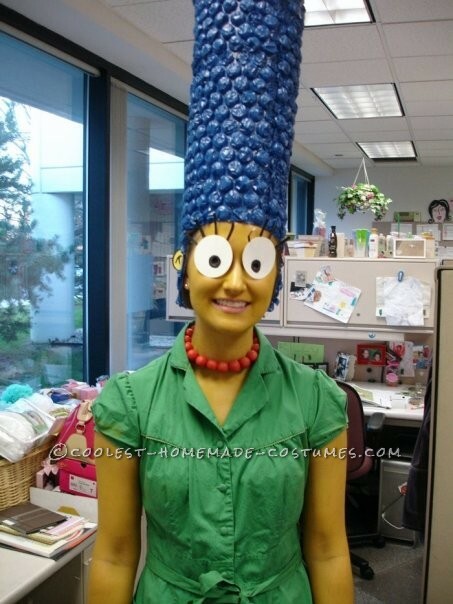 A few years back I dressed up as Marge Simpson. 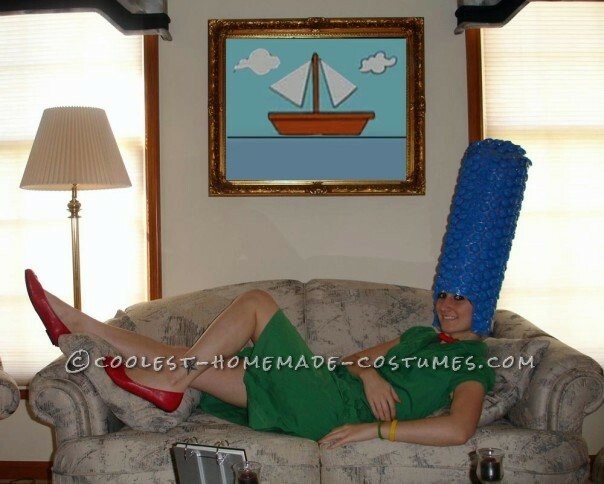 I didn’t want to buy a costume so I made my own. My hair piece is bubble wrap painted blue. The dress I had for along time. The necklaces I made with clay that you put in the oven to harden. I used yellow body paint and had red shoes. I took a cheap pair of glasses and taped white eyeballs onto them to give the cartoon character feel. I won funniest costume at work! My costume took about a few hours to put everything together/make.